The “Snowdon Push” is a fund-raising challenge organised by Back Up Trust – a charity that supports people with a spinal cord injury. Teams of between 10 and 16 people aim to conquer Mount Snowdon, which at over 3,500 ft is the highest mountain in England and Wales. 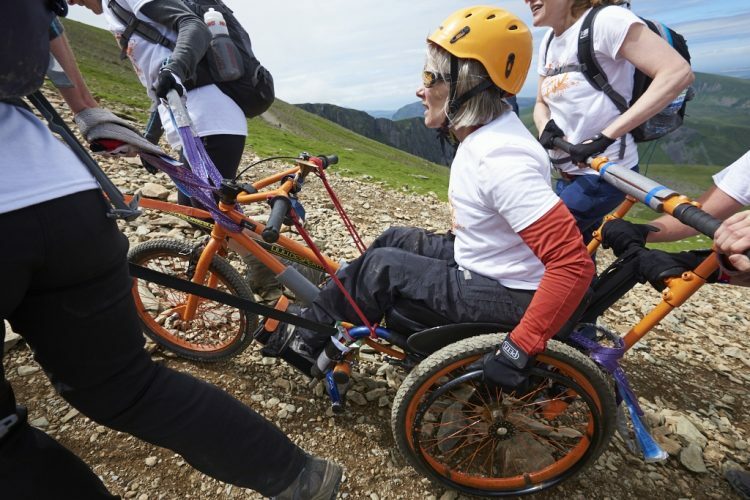 One member of each team must be a wheelchair user, which means pushing, pulling, climbing and wheeling as a team to reach the summit and back down again, covering approximately 8 miles of steep, mixed surfaced terrain. 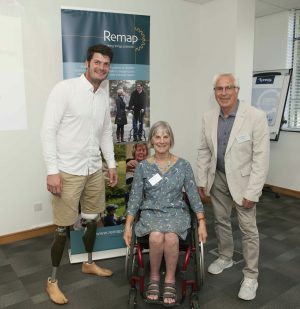 Cambridge Remap was asked to help Rosie’s team, the first all-female team to attempt the challenge, by adapting her every-day wheelchair for the challenge. 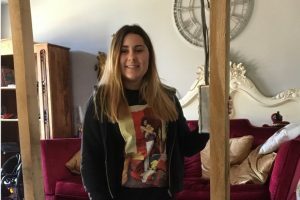 Rosie’s wheelchair needed to be modified both to manage the tough mountainous terrain and to allow for helpers to push, pull and carry her in it, up and down Snowdon. After discussions, the favoured option was to add a front wheel for steering and braking along with fixings for pulling straps, and a rear pushing and lifting frame. There could be no cutting, drilling or welding to the wheelchair. 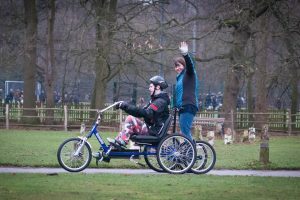 There was also a short time to complete the modifications so that the team could start training and it was essential that Rosie continued to have full use of her wheelchair for everyday use. Fred Harrison took on the challenge and reports: “I looked at the possibility of using a cycle frame for the front. I stripped down an old BMX bike and fixed its front end using U bolts and pipe clamps. A lifting and pushing frame was connected to the rear of the wheelchair directly into its anti-tip sockets and the whole assembly sprayed orange, the colour used by Rosie’s charity, Back Up. Adjustments needed to be made throughout the training sessions, to obtain the optimum settings to suit all members of the team. The adapted wheelchair was given the name Hillary. On the day of the challenge, the weather was fine, and after all the training, the team knew how to exchange places between pulling/pushing and resting. The challenge took 7 hours 33 minutes of hard work, exhaustion, and finally elation! 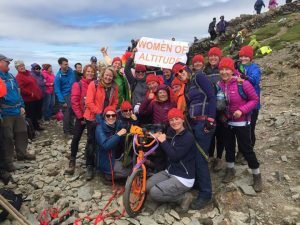 Women of Altitude were awarded the accolade for the team that achieved the highest amount raised: £18,000+ by the date of the Push, now over £21,000. 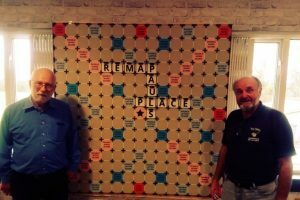 A fantastic result! On returning to Cambridge, Hillary (the hill climbing wheelchair) was deconstructed to return to its original state as Rosie’s normal everyday-use wheelchair.